KABUL, Afghanistan — Gunmen opened fire early Friday on the Indian consulate in the western city of Herat, but no staffers were hurt, authorities said. At least three gunmen entered a home near the consulate in the center of town at dawn and started firing on the compound, said Gen. Samillah Qatra, provincial police chief of Herat. He said none of the gunmen managed to penetrate the consulate’s perimeter, and two of them were shot dead. He said the last one was holed up in the home’s basement. The Indian Embassy in Kabul told NBC News that none of its staff in Herat were hurt. 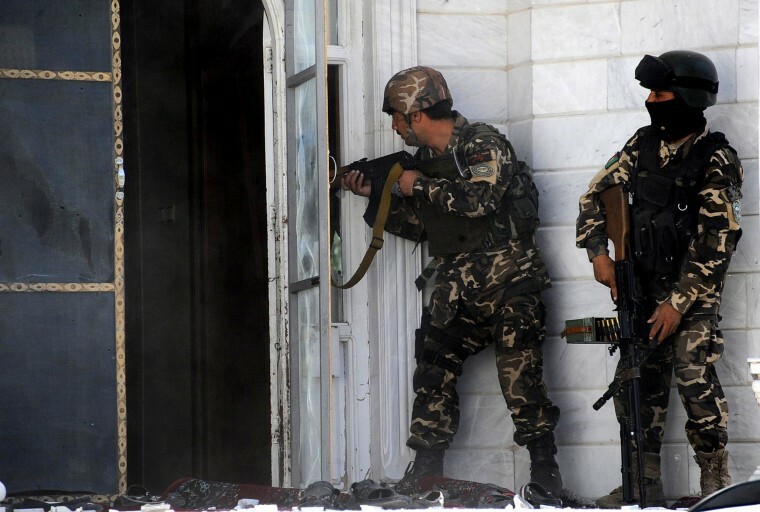 #India's Consulate in Herat, #Afghanistan attacked. Brave ITBP personnel and Afghan soldiers rebut attackers. All safe. Operation underway. Last August, a bomb attack against the Indian consulate in Jalalabad near the Pakistan border killed nine people but no Indian officials were hurt, the AP said. Two attacks on the Indian Embassy in Kabul in 2008 and 2009 killed 75.